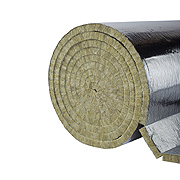 PAROC Pro Lamella Mat AluCoat can be used to satisfy the requirements as given in the tables for insulation thickness in BS5422:2009. Paroc can offer help and assistance to customers to confirm that the insulation systems proposed do in fact, achieve the necessary performance criteria. PAROC Pro Lamella Mat AluCoat conforms to BS3958-5.